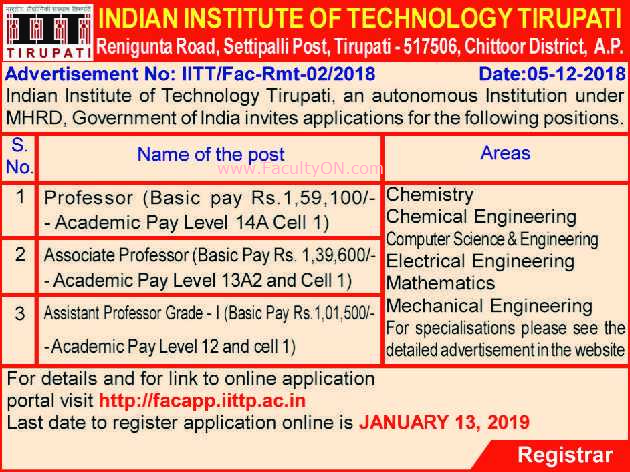 Indian Institute of Technology Tirupati, Chittoor has advertised for recruitment of Professor / Associate Professor / Assistant Professor jobs vacancies. 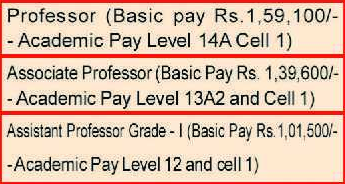 Interested and eligible job aspirants are requested to apply on or before 13th January 2019. Check out further more details below. About College: Indian Institute of Technology Tirupati is an autonomous engineering and technology education institute located in Tirupati. It started functioning from 5 August 2015 in a temporary campus housed at Krishna Theja Educational Institutions in Chadalawada Nagar on the outskirts of the temple city.